By the 1960s the University of Canterbury had outgrown its central city site and moved progressively to a new campus in the suburb of Ilam. 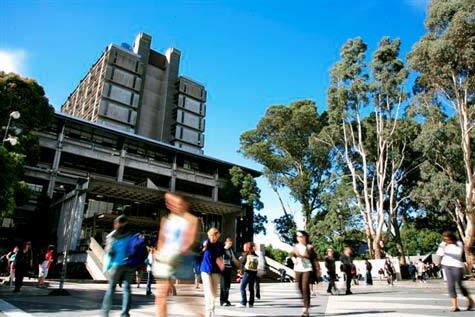 This is the 11-storey library, completed in 1974. Its modern design is in stark contrast to the old university buildings, now occupied by the Christchurch Arts Centre.